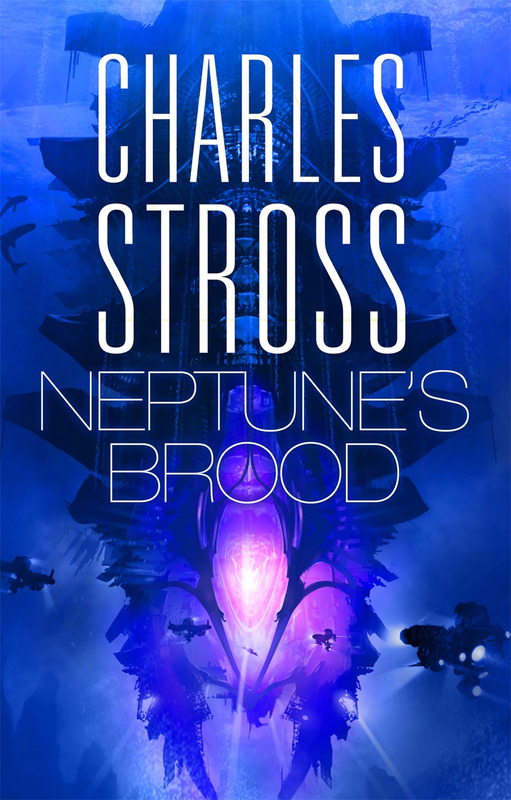 Neptune’s Brood is the latest space opera from Charles Stross, but as Stross’s work to date includes Lovecraftian spy thrillers, scheming corporate time-travel and internet-based detective fiction it’s safe to assume there’s a crossover at work here, too. This time the competing strand is… banking and fraud. I know, I know, you’re filling up with a sudden urge to run away and never look back, but Stross is a past master at incorporating unconventional subject matter, and – just like today – the lengths to which people or human-equivalent mechanoids will go are severe. Neptune’s Brood is an intrigue that has satire and wit running deep in its veins, with a highly satisfying, bitingly sharp plot and some inventive hard SF universe-building. The communist squid are the icing on that particular cake. I’m afraid I can’t really say any more about them without giving too much away, but they’ve already taken a spot as one of my favourite SF concepts. Characterisation is strong throughout, with each of the main characters well-written and fleshed out. The lead, Krina, is a fairly sheltered academic who suddenly finds events racing ahead of her while on an academic pilgrimage gone wrong, but catches up admirably with the help of the nearest the plot has to a single honest main character – a pirate insurance investigator. He provides the muscle, she the brains, as befits any character who directly channels Jane Austen when writing diary entries. The only real flaw here is that Stross is currently putting out books at an awe-inspiring rate, which seems to have robbed him of the chance to properly finish this – the plot wraps up in less than three pages, with no denouement at all. Ten or twenty more pages and this would have a place of high honour on my bookshelf, but it’s going to have to settle for four stars. Life’s hard, eh?